Scooby and the gang take the Mystery Machine to Louisiana for a vacation at Professor Van Helsing's Vampire Festival in this animated mystery adventure. 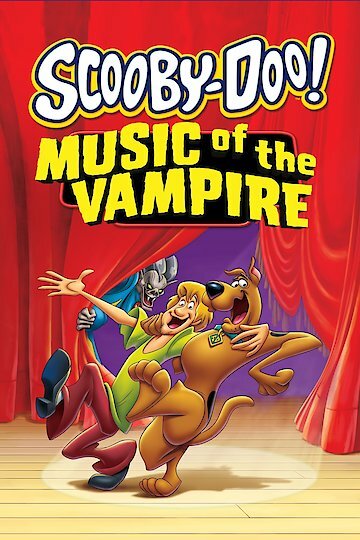 A troupe of performers claiming to be vampires then mistakenly unleash an ancient vampire upon the festival that Fred, Daphne, Velma, Shaggy and Scooby must track down and uncover the secret of returning the vampire to its slumber. Scooby-Doo! Music of the Vampire is currently available to watch and stream, download, buy on demand at Amazon Prime, Amazon, Vudu, Google Play, iTunes, YouTube VOD online.